PAUL AND IRENE GRIFFIN: IN A “COMMAND PERFORMANCE” FOR DONALD TRUMP AND A FEW OF HIS PERSONAL FRIENDS IN “THE BLUE ROOM” AT THE TRUMP PLAZA, NYC. 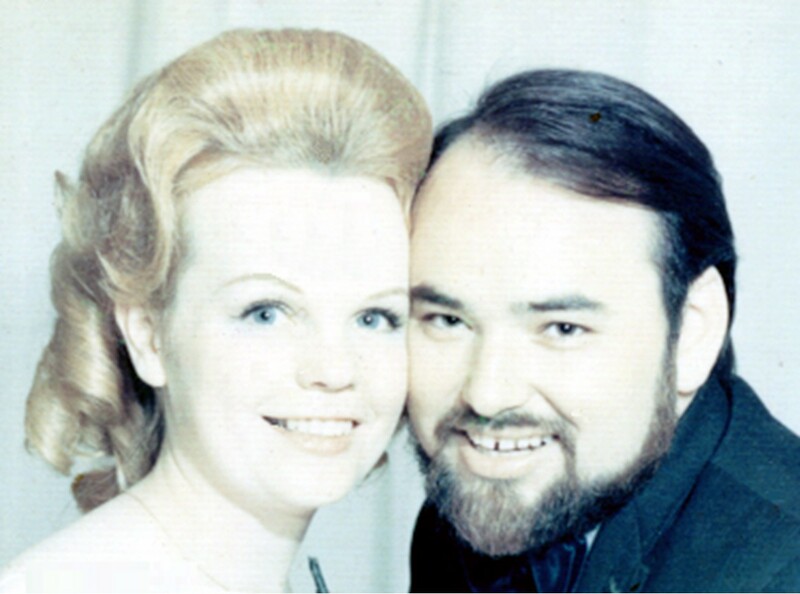 The lines were drawn early on in their marriage…Irene was “the singer” and Paul was “the trumpet player”…He wouldn’t sing and she wouldn’t play the trumpet. (Nor sing when a trumpet player was on the radio, television, practicing or anywhere within hearing distance.) Irene took great pains, when meeting with Doc Severensen, to complain to him about the number of times during their early courting days while “on the road” with Fred Waring, when she would be dropped like a free radical at a gay pride parade if he, “The Doc” happened to be playing a solo on The Tonight Show. Romance was immediately suspended or put on hold. Paul’s identity was so wrapped up in the trumpet that when he lost the ability to play through a tragic accident, he began to question “who” “what” or “if” he was anymore. It was at this crossroads when they decided to open a Bed & Breakfast Inn and later, a resort hotel…but then, that’s another story. Eventually, as Paul began to compile their musical history, he came across a vocal duet that he and Irene had recorded years earlier. It prompted him to consider a complete album of duets and thus the genesis of a new vehicle for his musical creativity which now includes audio and video production along with web authoring. Born Irene Stephens in King Oswald’s Twistle. (A twistle is a neck of land between two rivers and that is how Oswaldtwistle got its name. (Paul likes to proffer that Manhattan could then be considered “a twistle.”) All things considered, being born in the north of England in 1941 during the height of WWII, and requiring a major surgery to save her life, Irene was fortunate to have survived at all although she was to later discover that she would be unable to carry childbirth to full term. In the war ravaged industrial north, Irene’s mother had three children within three years. Cobbled streets, no electricity, no hot water, coconut matting for carpeting and an outdoor toilet…aside from bone jarring trips on cobbled roads to the shops, gas lamps for reading, bathing in a galvanized tub filled with hot water from a coal fired cauldron, skinned knees playing on the “carpet” and a quiet humility for her jaunts down the back yard to the “lou,” Irene says that in spite of it all, she recalls a happy childhood. The moors of Oswaldtwistle were not far and she would spend much of her time exploring them with her companions. The barrage balloons setup to snag the German V1 flying bombs were nothing more than exciting vehicles for their entertainment. While her father was working away in the munitions factories it was left up to her mother to cope during the bombing raids. While the candle would nervously tremble in her hands and illuminate the concern on her face, she would whisk her children away under the stairs. Oswaldtwistle became a point of destination for German prisoners of war who would work in the fields and were happy to remain there for the duration. Irene’s mother started her in dancing classes at the age of three and Irene is compelled to admit that she was a rather precocious child. At that time, Irene was convinced that she was going to be a tap dancer, but breaking her foot ended that dream. So the chorus line wasn’t for her but, as she soon discovered, she had a voice and she could sing. Irene’s interest in singing was piqued when as a child she would listen to her sister singing scales. She thought to herself, “O.K. I can do that.” Thereafter, she was unbridled in her enthusiasm for the vocal gymnastics that completely overwhelmed her existence; there was no stopping her. Irene was taking lessons with the local Sunday school teacher, Mrs. Greenwood who was helping her through some technical difficulties. Irene had a natural “break” in her voice that was troublesome. The first time Irene sang at the church hall, were it not for a nearby table on which to steady her trembling knees, she would have collapsed. Unfortunately, Mrs. Greenwood couldn’t find a solution for Irene’s dilemma and so the first review Irene ever received was for the part of Josephine in HMS Pinafore, and which stated, “Irene has a sweet voice which unfortunately lacks range.” Well, Irene takes great pride in reporting that over the years she has shattered that particular sound barrier…along with countless pints of ale thus proving them wrong. Working in the cotton mills, Irene could sing as loud as she wanted. She started singing professionally in the smoke filled halls of the British Workingman’s Clubs on weekends. Her true love at the time was Gilbert and Sullivan and she had many opportunities to perform her favorite roles. Irene states that the most exciting happening in her life was winning the television show “Opportunity Knocks” (The British version of “Idol.”) and a subsequent eight month tour of America. Irene was seen on The Thames Television by visiting American impresario, Fred Waring who immediately contacted her and invited her to tour North America with his famous “Pennsylvanians.” There, she met her soon to become husband, Paul Griffin. (A trumpet player, musical arranger and contractor for the Waring organization.) When the eight month tour ended, and Irene’s work visa expired, she returned to England and Paul was soon to follow. 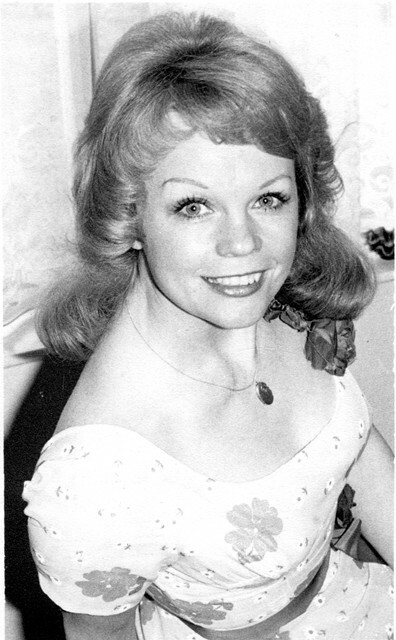 They were married in Blackburn, Lancashire, and Irene continued her musical career, while Paul played trumpet for The BBC and Thames Television, and with such great British performers as Matt Monro, Tony Christie and also many visiting American entertainers i.e. Frankie Laine, Buddy Greco, The Stylistics, The Temptations, The Four Tops, etc. Paul says that he loved everything about living in the British Isles except for the climate and so after twelve years of seemingly ceaseless and merciless degrees of precipitation, they returned to the land of his origins. They took up residence in Long Beach, LI where Paul believed he could replenish his deficient vitamin D reserves while reestablishing their musical careers on the North American continent. Irene has since performed her one woman show in such venues as: Caesar’s Palace in Atlantic City, The Blue Room at Trump Plaza in New York City, (an encore performance for “The Donald” and select friends) The Detroit Athletic Club, and with The River City Brass Band…a fifty piece brass ensemble with featured musicians from the Pittsburgh Symphony. 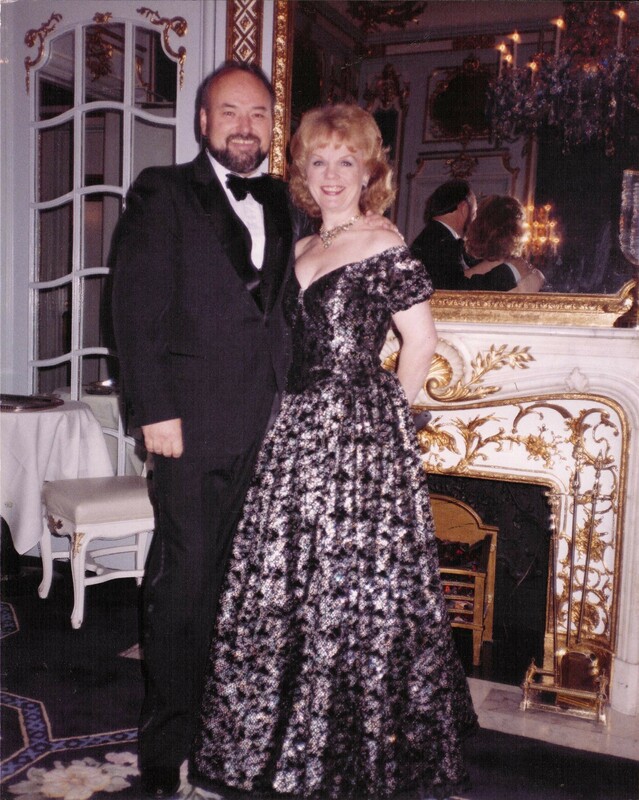 Irene has performed at all of the major resort hotels in The Catskill and Pocono Mountains and was able to fulfill the dream of her life by singing her favorite leading roles with the Delaware Valley Opera Co…the icing on the cake came when she performed Mimi in La Boheme. Accomplishments: Musician, (Trumpet Player) Singer, Songwriter, Orchestrator, Composer, Producer, Promoter, Hotel Manager, Agent, Multi-Media Artist, Writer, Journalist, Author, Philosopher, Poet, Actor, Educator, Inventor, Electronics Engineer, Electrician, Plumber, Carpenter, Business/Property-Development/Management. So lovely to meet you today! (Some nice pics of Irene…yes, I’m a lucky guy.